Yumi has moved into year 11…and William along with her. Things haven’t changed; the handsome dark-haired boy still pursues her with his charms, complimenting her hairstyle…and hindering the shier Ulrich’s attempts to declare his love. He had tried to tell her at different moments during the day, pushed by Odd, but he didn’t succeed in spite of his best efforts. For their part, Jeremy and Aelita are having a disagreement. Aelita thinks she saw a trace of XANA in the events of that morning. Jeremy refuses to believe it. XANA is dead. It’s only when the school bell rings in an atrocious noise and the loudspeakers explode in front of the two’s eyes. After a brief meeting, the heroes agree; something is wrong. Leaving William at school, they decide to go back to Lyoko to verify that nothing is wrong and find some answers…reopening the old passage in the park, they go into the sewers and go to the old abandoned factory…their factory. They go down to the Supercomputer room. Throats dry, they find themselves projected months back…reunited in the same room where they had turned off the months ago. Ulrich is reluctant but his apprehension bows to Aelita’s determination. Jeremy reactivates the baneful machine. The network lights up…Lyoko rebuilds itself. The heroes return to the lab. After the long break, Lyoko has taken a hit. The Ice and Forest Sectors have disappeared. However, the Superscan doesn’t detect any trace of any activated tower, nor a XANA attack. 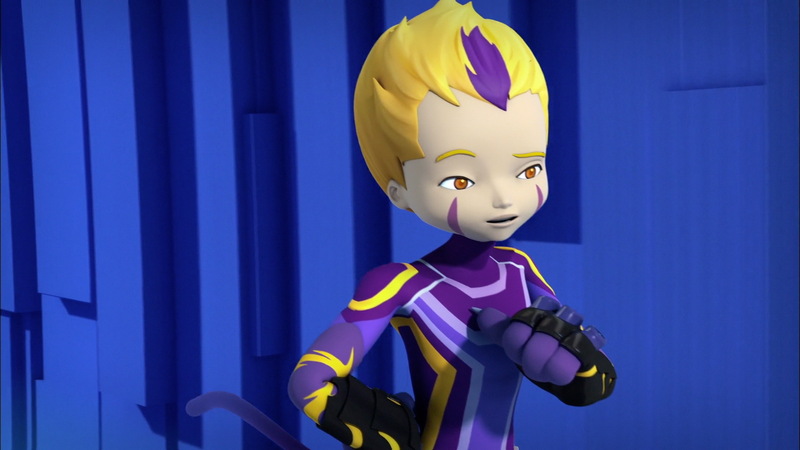 Aelita then demands to go back to Lyoko, to Sector Five, to be closer to her father…where he lost his life. This proposition divides the group. 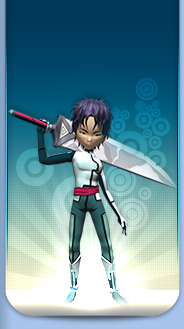 Odd can’t hide his enthusiasm to finally return to Lyoko. Ulrich and Yumi are a bit miffed. Odd and Aelita then appear in Sector Five. Odd reclaims his Overboard and in an artistic manner starts talking about an interesting project of a Lyoko-themed amusement park. While Jeremy argues against this immense project, Aelita goes into the labyrinths and reaches one of the towers of Sector Five, inactive. While Jeremy invites the two Lyokonauts to come back to the real world, the Superscan beeps, familiar yet deadly; a tower had just been activated. Jeremy is flabbergasted. 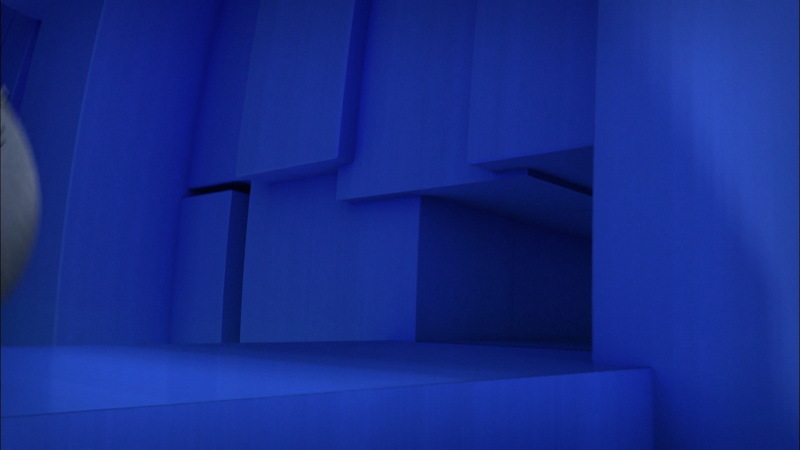 The tower had just appeared in Sector Five. Aelita and Odd decided to go and deactivate it, but three Megatanks come to stop them. A fight breaks out in the labyrinths of Sector Five. The Lyoko Warriors destroy two of their adversaries. Odd falls victim to the last. 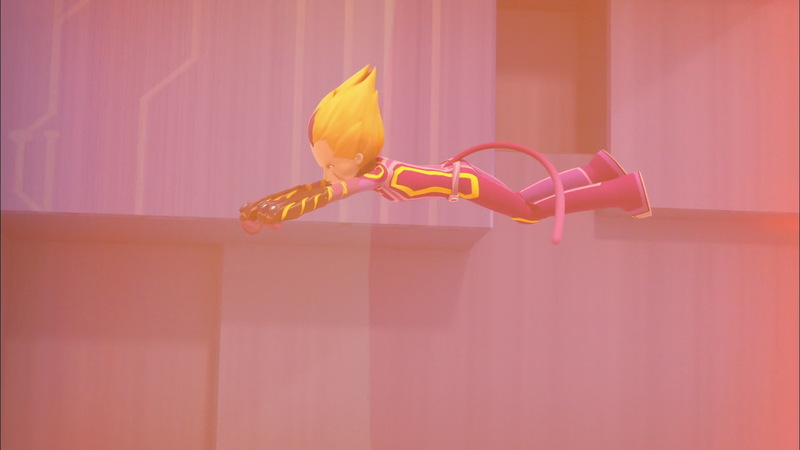 Aelita takes flight and flees towards the tower, pursued by her enemy. On Earth, events become rushed. In full martial arts training uniform, Ulrich and Yumi sweat. Ulrich loses again and claims it’s because of the untimely intervention of Jim coming to change some fuses. The PE teacher becomes victim to the new electrical phenomena. A polymorphic clone appears at Kadic, materialised in the form of Jim. It attacks the teacher. Bursting into the gym, it seizes the unsuspecting Ulrich. It then tries to drain something from him, taking the young Stern below ground. Yumi intervenes. She pushes Jim and flees with Ulrich who is having trouble standing with blurred vision. Leaving Kadic, she receives a call from Jeremy who explains the situation to her. 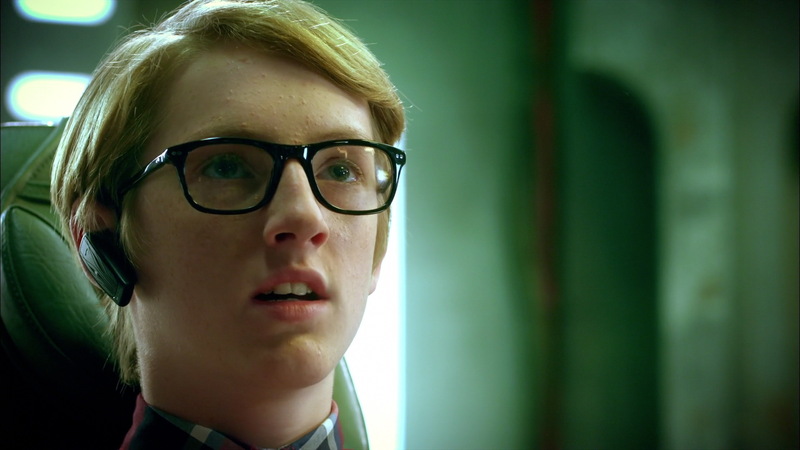 The two students head to the sewer, the clone on their heels. Yumi is forced to abandon Ulrich in the sewer tunnels. She runs to the factory while Odd, returned to Earth, comes from the factory to deal with Ulrich. Once virtualised, Yumi and Aelita get rid of the last Megatank. 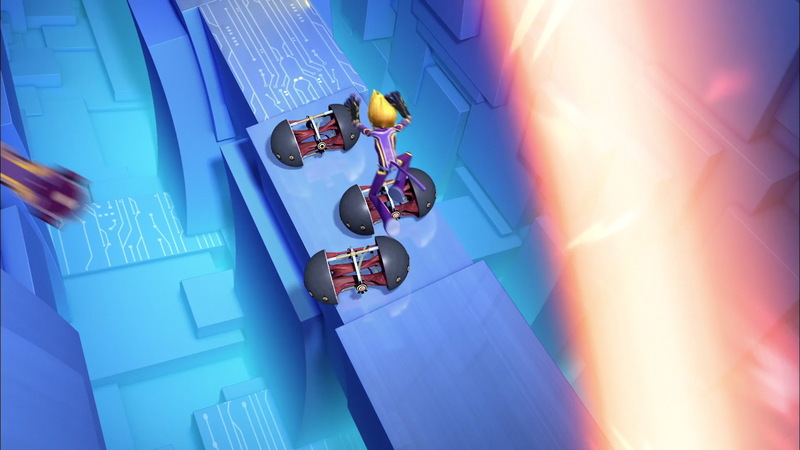 While Aelita goes towards the room containing the active tower, Krabes appear to try and stop her. Combat begins again…more frantic as the situation on Earth becomes more urgent. Meanwhile Aelita and Yumi finish off the Krabes and the guardian of Lyoko goes into the active tower and deactivates it just in time to save her friends. Back to old habits, Jeremy launches the return to the past. Debriefing is sombre: XANA has returned. Jeremy made a discovery from error codes during virtualisation. 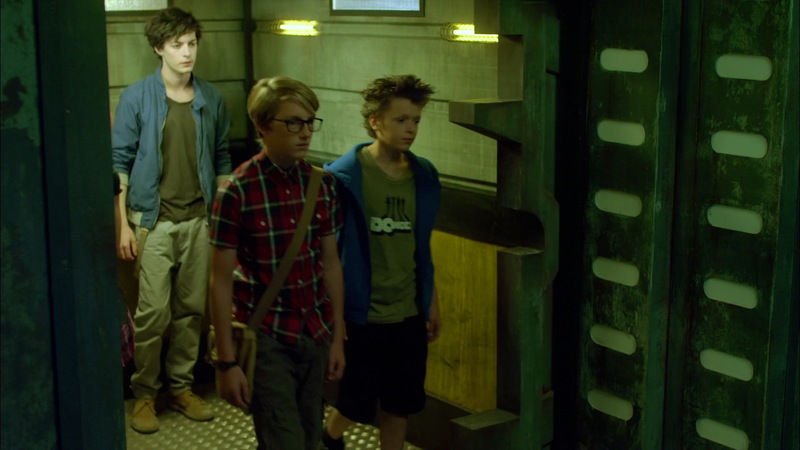 At the moment of its now-distant destruction, XANA implanted source codes in Aelita, Odd, Yumi, and probably Ulrich. Its these source codes that allowed the program to recuperate…and what the spectre tried to absorb from Ulrich and Odd. 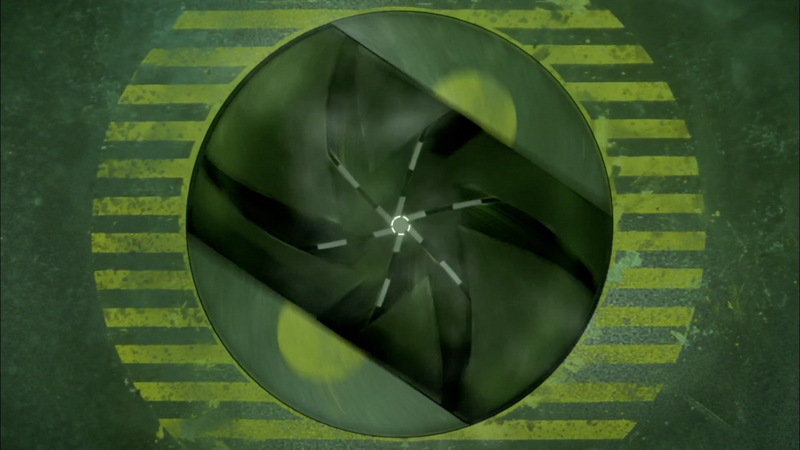 The second observation is that XANA probably isn’t on Lyoko; its activity was manifested before they reactivated the Supercomputer. It must be stuck therefore in the global network…probably on some sort of Replika. If XANA manages to obtain the source codes, it’ll allow it to spread over the network again and gain control. The conclusion of all this? The Lyoko Warriors have returned! - Attack: Send a spectre to retrieve source codes. It takes Jim's appearance. - XANA has returned. We don't know how or why. 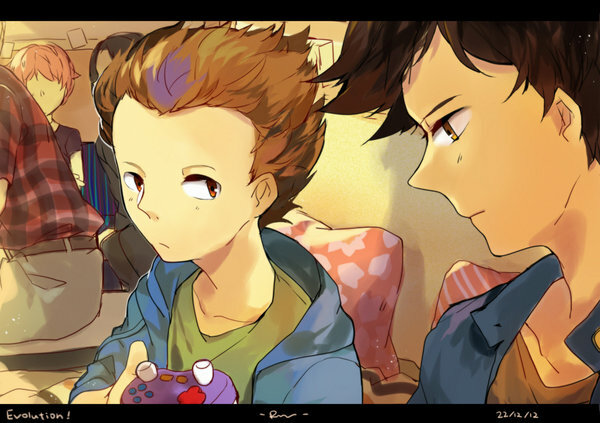 - Lyoko has been modified since the original series. The Forest and Ice Sectors have disappeared. The towers have changed appearance and Sector Five now has more of them! - We now find all kinds of monster in Sector Five, in this episode Krabes and Megatanks. - There's an error in scene order: in the lift, between the door closing, the descent and the doors opening on the lab, the position of characters changes. 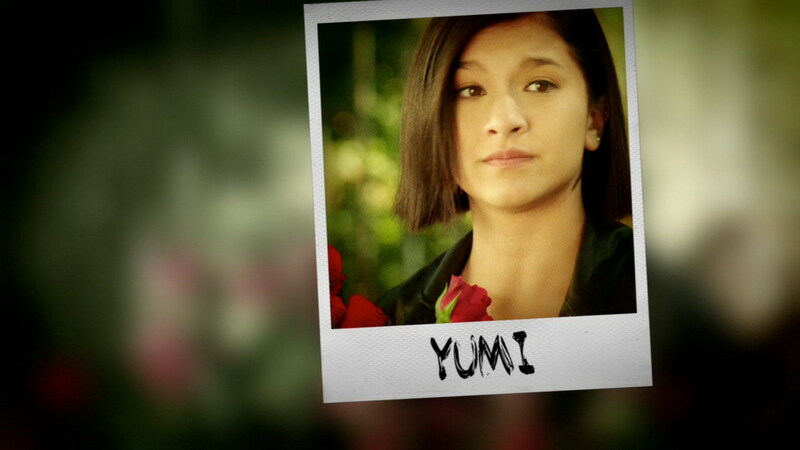 - The image of the photo that we saw in Yumi's brief introduction is an extract from episode 13 “Friday the 13th”. 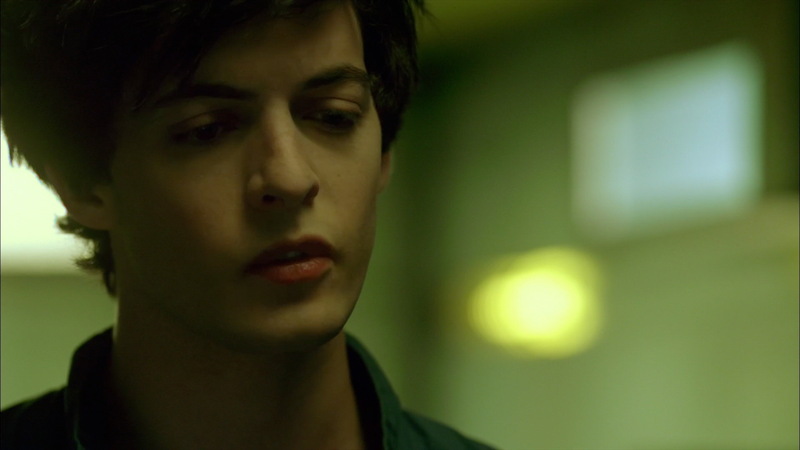 - The code to enter the lift in the factory is 1506. 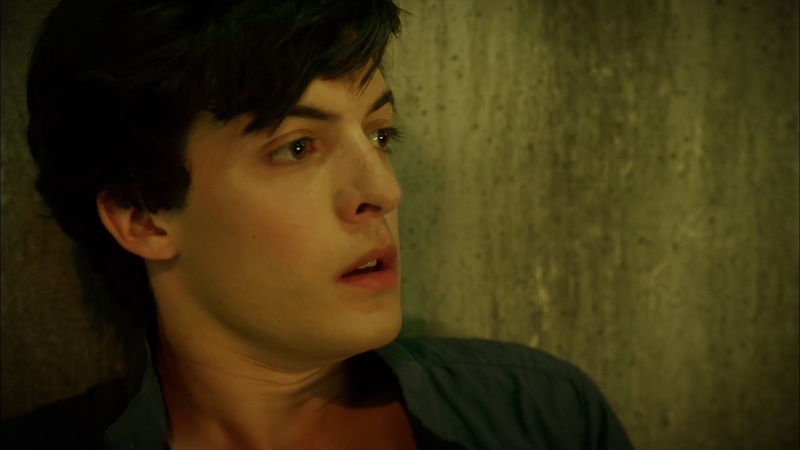 This is actually the date of Marin Lafitte's (Jeremy's actor's) birthday: the 15th of June! - The controller Odd offers to Ulrich, asking him silently to play, is a Nintendo Game Cube controller! Jeremy: The Lyoko Warriors have returned! Jeremy: It's not possible. XANA can't have returned!